B & C Kennels: Re-Homing three of our adult dogs. Re-Homing three of our adult dogs. We have three wonderful adult dogs that we are retiring from our breeding program that will make wonderful pets. Bruno is a male mini schnauzer who is on the small side. He weighs around 11#. He is a salt and pepper parti color. He is just a little over a year old. Sweet nature, a little on the shy side. He is current on all vaccines including his rabies and has just been neutered. Bruno found a great home with Grant! He will be traveling the country in an RV all the way to Alaska and back. How exciting! 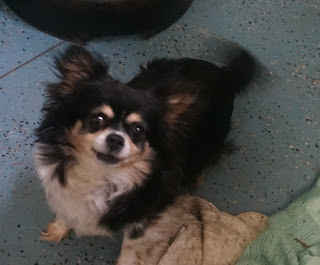 Raine is a long hair Chihuahua female who we have retired from our breeding program. She gave us some beautiful pups. Her birthday is 12-19-10. She is current on all vaccines including her rabies and has just been spayed. Very Sweet Nature and a Cuddle Bug! Raine has now found her new home! Hurray! 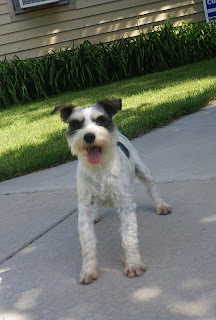 Sampson is our Yorky male stud that we have now retired. He is adorable and quite small. He weighs just over 4# and is cute as can be. I will post a pic of him asap. He was born on 6-19-09. He is a social guy who loves attention.